Another exciting project in the pipeline is the ‘Great North Road – Convict Trail Map’. Karen Hutchinson and Daphne Dobbyn are working together with Cartoscope Maps, Great Lakes Tourism and Great Lakes Council to produce the first QR code map. A QR code is a type of matrix barcode that can be read by mobile phones (installed with QR decoding software). 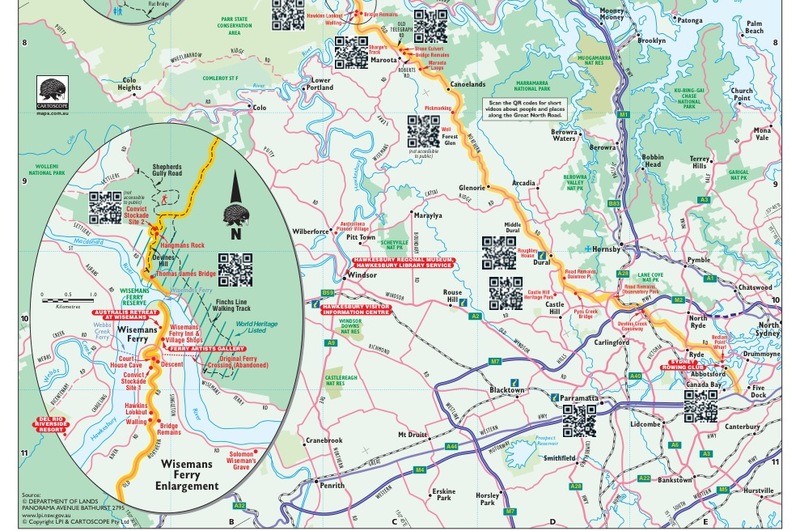 Information can be easy retrieved using QR codes, making them a very useful tool on tourist maps and at tourist attractions. Filming for the Convict Trail map will start in our area soon. The map will be produced on a weather/vandal proof fixture and positioned at historically significant points in town, which will lead to a booklet and DVD.